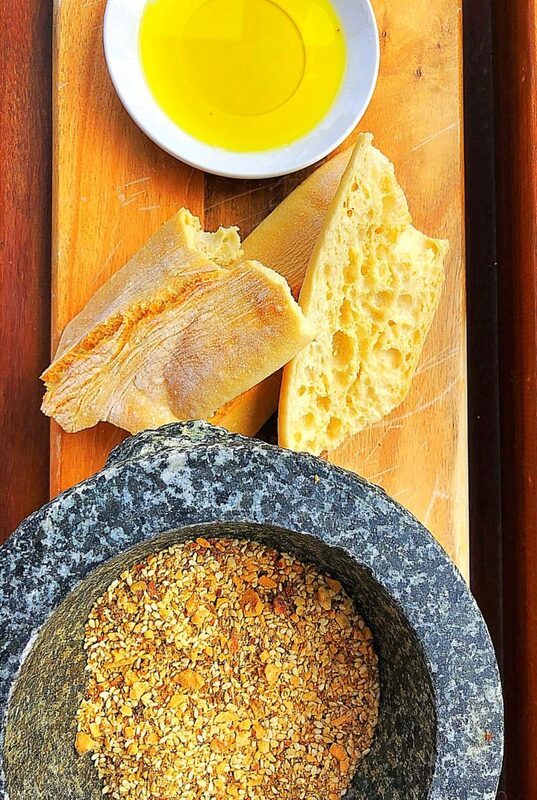 Crusty sough dough dipped in olive oil and slathered in dukkah…. need I say more? 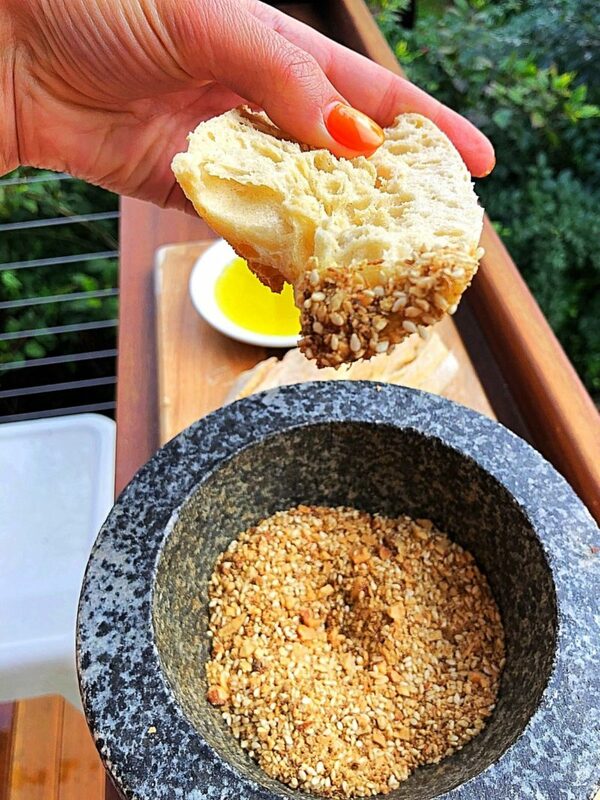 Process almonds in a food processor until they are roughly the same size as the sesame seeds (you can make them finer or chunkier based on your preference). Some powder may occur and this is perfectly fine. Heat a large non-stick fry pan over medium-high heat and dry roast the almonds until golden. Remove and place into a bowl. Repeat with the sesame seeds and again when golden, add to the bowl of almonds. Toast the peppercorn medley, coriander seeds and cumin seeds in the same pan until they start to colour and become fragrant. This will take about 1 & ½ minutes stirring occasionally. Transfer the toasted spice mix to the food processor and add the sea salt. Blitz a few times to make a course powder. 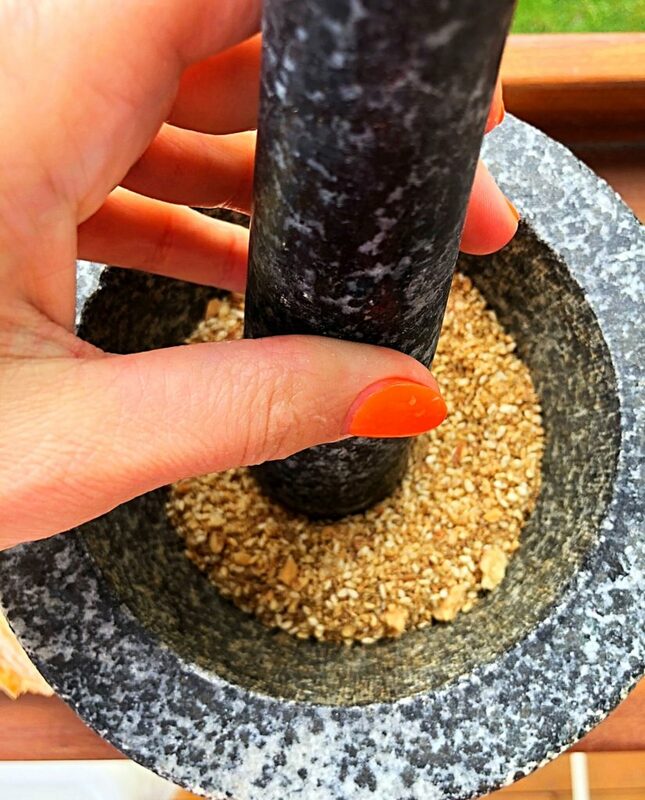 Add the spice powder to the almond and sesame bowl and mix until well combined. Serve with freshly bought (or baked) crusty sour dough bread and olive oil of choice. Note :: This mix will store in an airtight container for 3-4 weeks. Next Post"What's the deal with Super?!"... and other important questions!